Yangbo Sun, Ph.D., from the University of Iowa in Iowa City, and colleagues examined the prospective association of total and individual fried food consumption with all-cause and cause-specific mortality in women in the United States. Data were included for 106,966 postmenopausal women aged 50 to 79 years at study entry. The researchers identified 31,558 deaths during 1,904,691 person-years of follow-up. For total fried food consumption, comparing at least one serving per day with no consumption correlated with multivariable adjusted hazard ratios of 1.08 (95 percent confidence interval [CI], 1.01 to 1.16) and 1.08 (95 percent CI, 0.96 to 1.22) for all-cause and cardiovascular mortality, respectively. 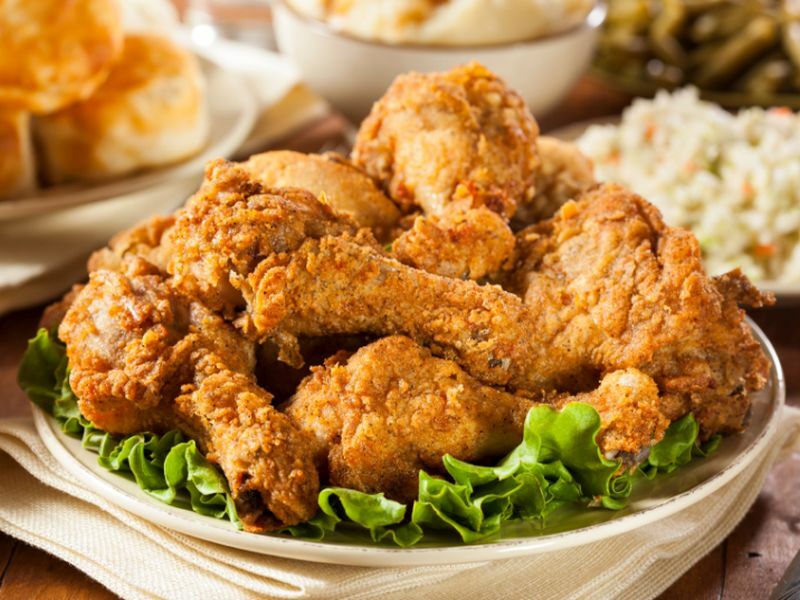 For fried chicken, comparing one serving per week with no consumption, the corresponding multivariable adjusted hazard ratios were 1.13 (95 percent CI, 1.07 to 1.19) and 1.12 (95 percent CI, 1.02 to 1.23). For fried fish/shellfish, the corresponding hazard ratios were 1.07 (95 percent CI, 1.03 to 1.12) and 1.13 (95 percent CI, 1.04 to 1.22). No correlation was seen for fried food consumption with cancer mortality. "We have identified a risk factor for cardiovascular mortality that is readily modifiable by lifestyle and cooking choices," the authors write.